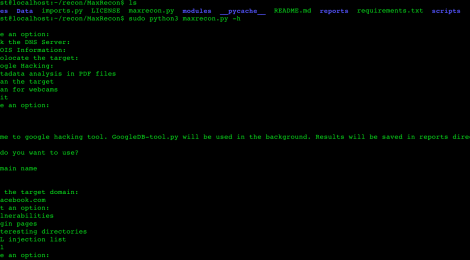 Browse: Home / MaxRecon – Suite for Information gathering. 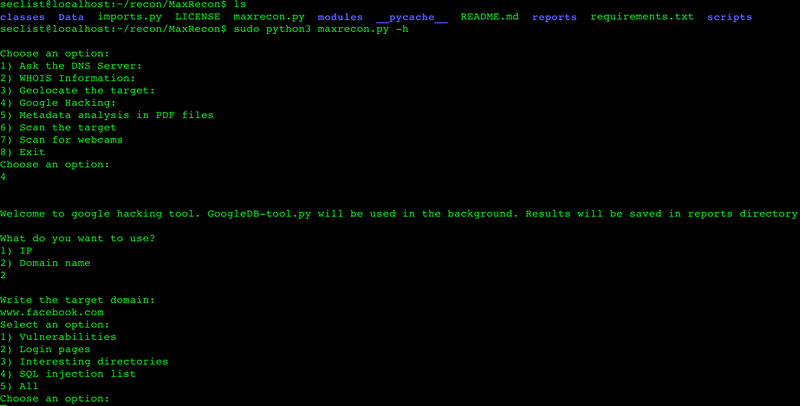 The module Google Hacking uses the tool: Google Hack Database Tool automatically. 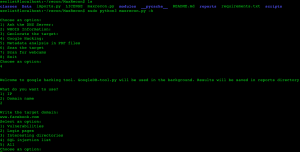 This module has been modified to be compatible with python 3.5. ← dolos is a UDP proxy and fuzzing tool.